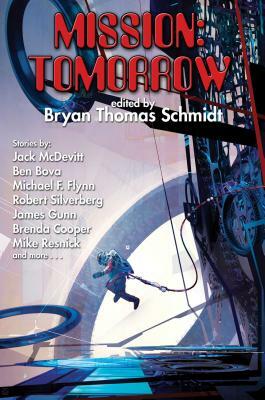 Bryan Thomas Schmidt is an author and Hugo-nominated editor of adult and children's speculative fiction. His debut science fiction novel The Worker Prince, received Honorable Mention on Barnes & Noble's Year's Best SF of 2011, and was followed by sequels The Returning and The Exodus. His childrens' books include 102 More Hilarious Dinosaur Jokes For Kids and Abraham Lincoln: Dinosaur Hunter--Land Of Legends. Schmidt has edited anthologies Space Battles: Full Throttle Space Tales #6, Beyond The Sun, Raygun Chronicles: Space Opera For a New Age, Mission: Tomorrow and, with Jennifer Brozek, coedited military high fantasy original anthology, Shattered Shields. Schmidt hosted #sffwrtcht (Science Fiction & Fantasy Writer's Chat) Wednesdays at nine p.m. ET on Twitter from December 2010 through early 2015. A book editor for WordFire Press, he has also edited freelance for clients including New York Times Bestsellers Angie Fox and Andy Weir, for whom he was the first editor on the hit novel, The Martian. He can be found at his website at www.bryanthomasschmidt.net.